Iron Man 3 came and went. 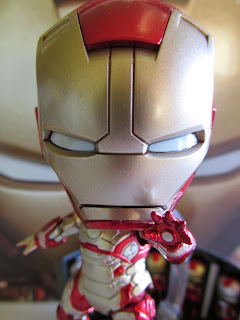 The movie made a lot of people at Disney and Marvel very happy, but it seems the fan base had mixed reactions. 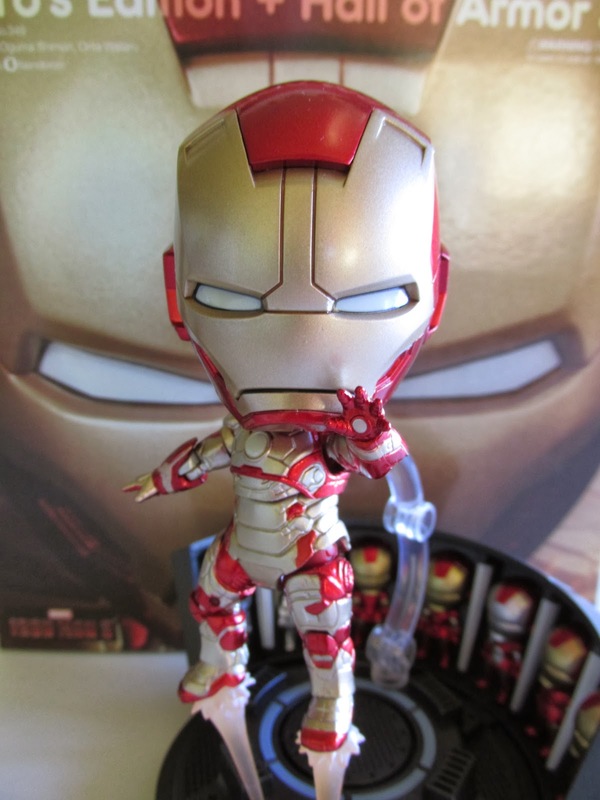 Regardless, the movie created tons of merchandise opportunities and now here we are with Good Smile Company’s second Iron Man release, the Mark 42 set. 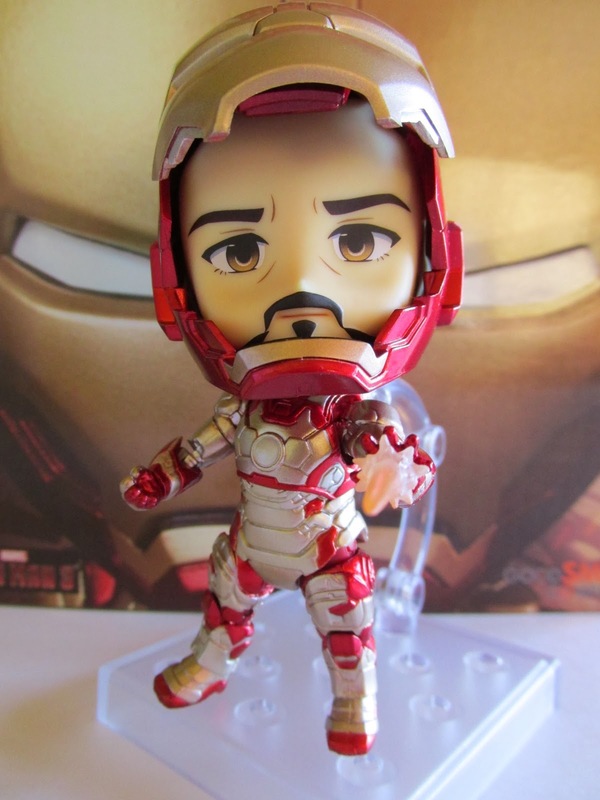 The first time around they released the Mark VII based on its appearance in the Avengers. 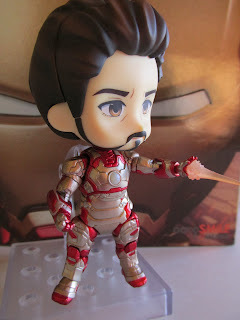 This release of the Mark 42 comes with an alternate head of Tony Stark, the Hall of Armors as a base, and a slew of additional hands and repulsor beams. This figure looks great and has good articulation for the most part. 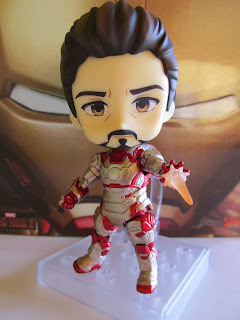 The paint apps are also well done and give that real metal look. 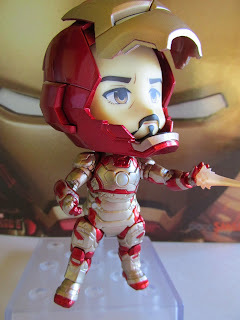 The Tony Stark face can actually be put inside the helmet and the face plate can slide up on the helmet with the help of a magnet. 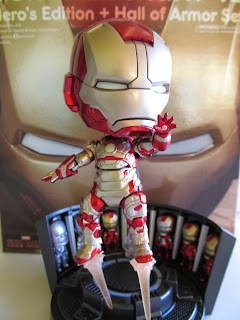 The figure also comes with a pair of open hands, a pair of fists, two pairs of the same open hands with repulsor blast attached, and two repulsor blasts that attach to the feet. 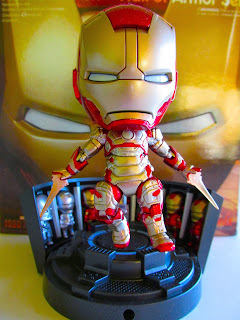 The Hall of Amor base is also a nice touch and the paint looks great those armors. If you do not want the Hall of Armor base, then you can display the figure with the traditional Nendoroid base, which is a nice option to have. 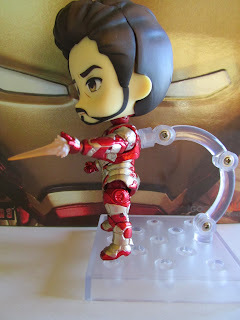 The only problem I have with this figure is the kneeling position that can be done with this figure. I had a really hard time trying to pull off this pose and wasn’t too successful. To help with this, it comes with bent left knee that you put on, but even then it was still difficult to get that iconic pose right. 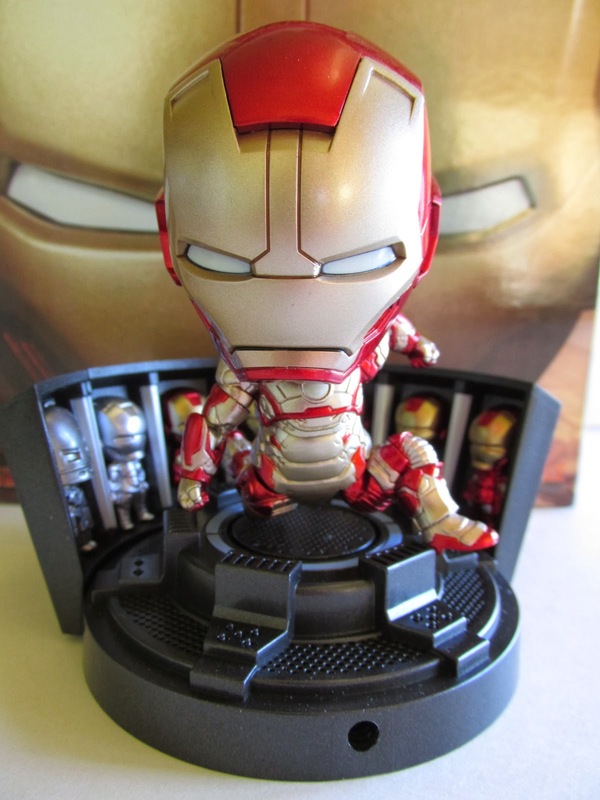 Overall, this is a great Nendoroid and if you like Iron Man 3 or just trying to collect as much Marvel merchandise as you can, then you need to add this figure to your collection.